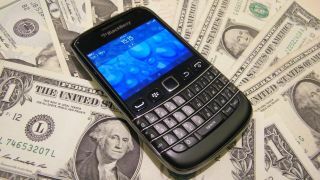 BlackBerry looks like it may be the next former smartphone kingpin to admit defeat in its battle to rejoin the mobile elite, with the ailing Canadian company reportedly looking for a quick and painless sale. Just days removed from Nokia's sale to Microsoft, the Wall Street Journal claimed BlackBerry has courted potential suitors with a view to handing over the keys, potentially as soon as November 2013. Last month, with new handsets failing to light the fire of consumers, BlackBerry announced a strategic review was underway, with an outright sale just one of the options being explored. The paper said preliminary discussions have already taken place with interested parties regarding taking on all or part of the company. The BB10 experiment was widely seen as BlackBerry's final throw of the dice, but despite some respectable reviews for the Q10 QWERTY handset and Z10 all-touchscreen affair, both handsets fell flat commercially. The company does have more phones in the pipeline, with the rumoured Z30 expected to arrive before the year is out. BlackBerry is also preparing to launch its BBM messaging software for Android and iOS devices, but it might be too little too late. The next question is: Who would want to buy BlackBerry in its current state? The 10 moments that defined the rise and fall of the BlackBerry empire.